One of the things I like about rankings is that everyone has an opinion. If you follow sports you know fans argue all the time who is the top football or basketball or cricket team. So in higher education who do think are the top ten UAE universities? I want your top ten list and you may select any higher education institution in the UAE and that includes branch campuses. I will report the results no later than July 3rd. You may post directly on the site or email me at dean.hoke@edu-alliance.net with your top ten. Let’s give you some opinion’s on who are the top schools. A few weeks ago QS University Rankings posted its top-performing institutions in the Arab Region. This is their second year and it highlights the top one hundred Arab universities. The primary idea of the QS University and Times Higher Education rankings are to help students and parents make informed comparisons between their university options. It has also become an important part of the performance criteria used by Board of Trustees and Presidents in determining how their school compares to others. Unfortunately few Arab universities have achieved a top 400 or 500 world ranking and it will be years before additional schools make the top 500 or if ranked move into the world top 100. However many universities in the Arab region are quality institutions and should be compared with other Arab universities. QS and Times Higher Education are to be commended in developing regional ranking systems but QS needs to re-think its categories and weighting system. After the top fifteen Arab institutions, many of the other universities ranked in the top 100 seem too high or low. There are schools I wonder why they are on the list. Conversely, I was stunned The Petroleum Institute in the UAE was not ranked by QS while the Times Higher Education MENA list had them as #20. So what do you think? 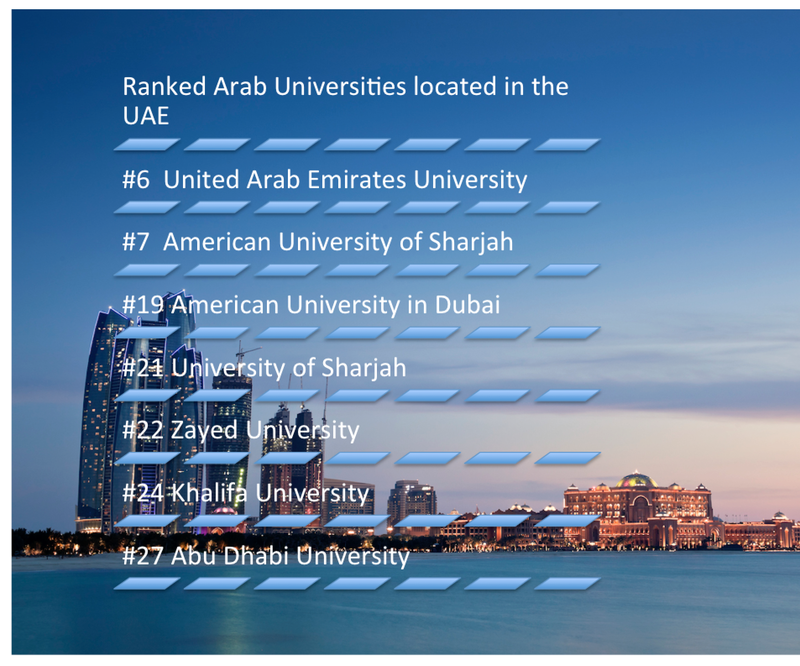 Who is your top ten universities in the UAE. KARACHI: During today’s Geo News program me ‘Aaj Shahzeb Khanzada kay Saath’, host Shahzeb played two telephone recordings between Axact representatives and clients. One of the phone calls divulges that the Axact agent is pretending to be from Nixon University and he is calling a UAE-based doctor, urging him to purchase transfer of credits. For complete story and recordings click on link. Fake degree scam: Axact call agents used to intimidate, blackmail clients in UAE | PAKISTAN – geo.tv.